I know I’m not the only person who likes to start the new year on a healthier, fresh foot. And the best way to do that is to amp up my favorite recipes with incredibly healthy superfoods. They not only make everything healthier, they add a burst of flavor, too. I’m one of those weird people who actually loves healthy foods. When I wake up, I don’t crave doughnuts, I crave rich smoothies or flaxseed pancakes. But I know I’m in the minority here, so I decided to make recipes that taste and look decadent but are secretly filled with fresh, healthy ingredients. Soon enough you’ll be weird like me! Mix all of the ingredients (except for the jelly) in the basin of a slow cooker. Cook on low for about 4-1/2 to 6 hours, or until mixture is soft and fully cooked. 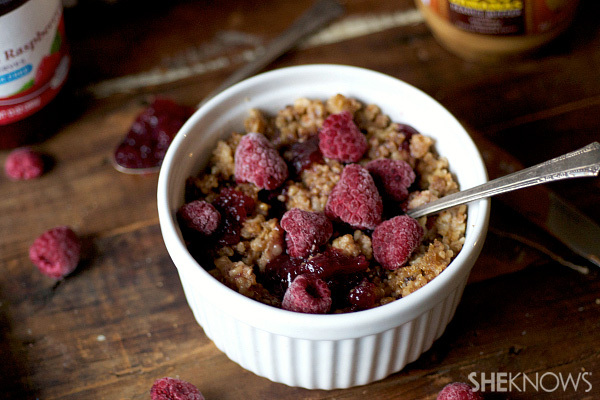 Stir in the raspberry jelly and fresh raspberries after cooking. Place all of the ingredients into a blender and pulse until thick and creamy. 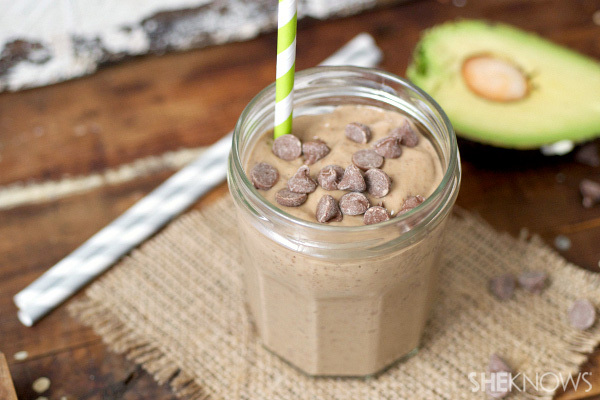 Pour into Mason jars and garnish with chocolate chips. Preheat oven to 450 degrees F. Grease a standard baking dish with nonstick cooking spray. Chop the tofu into bite-size pieces and place in a shallow bowl. Mix with the olive oil and sprinkle evenly with the taco seasoning. Scatter on the baking dish in even layers and bake for 15 minutes. Break it up with a spatula and bake for another 20 minutes, or until crispy. 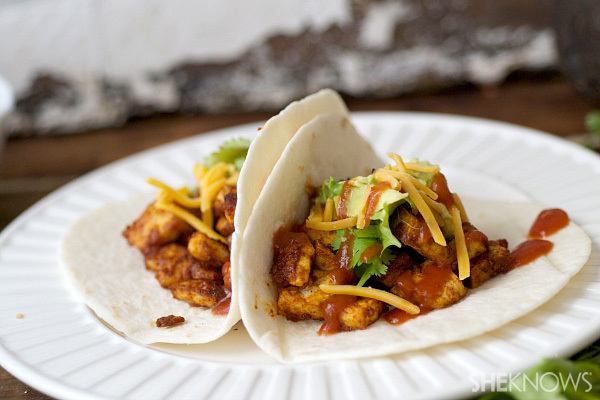 Fill the tortillas evenly with tofu and sprinkle with cilantro, cheese and taco sauce. Add a few chunks of avocado to each and enjoy!